Back at CES earlier this year, Sony has showcased quite a number of fitness-oriented products including the Smart B-Trainer. Mainly targeted for runners, Sony Malaysia has begun taking pre-orders for the device which will receive its media launch later this week. 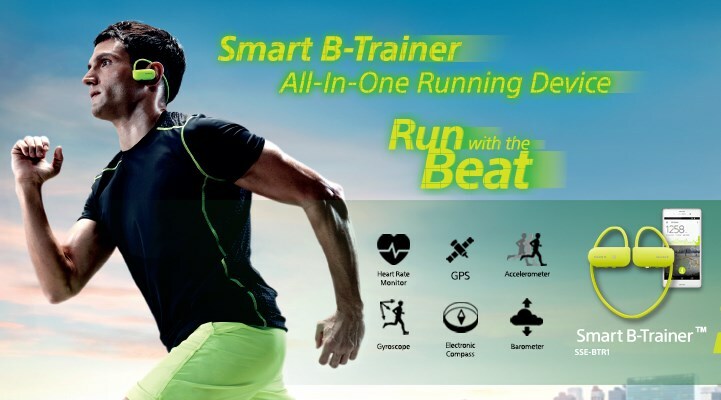 While it has the same physical design as per Sony’s wearable W-Series Walkman and can be loaded with 16GB worth of music, the Smart B-Trainer comes with plenty of additional built-in features such as GPS tracker, heart rate monitor and voice coaching function. Users are able to keep track and store their stats through the accompanying Smart B-Trainer for Running app for Android and iOS devices. Not only that, the Smart B-Trainer is also waterproof which means that it can be worn during wet weather or even while swimming and can be cleaned with water to remove sweat after a workout. Priced at RM 999 (inclusive of GST), each pre-order will be accompanied with a welcome pack worth RM 99 while stocks last. Meanwhile, do note that the actual device will only be delivered to customers starting from 17 June. To learn more about the new Sony Smart B-Trainer, head on to Sony Malaysia’s official website right away.